Although it's relatively new, the cryptocurrency industry was the fifth most attacked by DDoS in the final quarter of 2017. Imperva's latest Global DDoS Threat Landscape Report finds the spike in cryptocurrency prices has attracted the attention of attackers. Also the number of exchanges has increased to 190, up from 70 in Q3. Of these, 24 exchanges have a daily turnover of more than $10 million. With an increasing number of targets, despite the volatility in the price of bitcoin, Imperva expects to see assaults directed at the cryptocurrency industry continue for the foreseeable future. "In the second half of 2017 the cryptocurrency industry became an attractive target for DDoS attacks, now ranking as the fifth on the most attacked list," says Igal Zeifman, security evangelist at Imperva. "While it is hard to know for sure, it is likely that many of these attacks were driven by the accelerated financial growth the industry had experienced in the last month of the year. This, together with the resulting media coverage, likely drew the attention of bad actors. Another contributing factor was likely the relative lack of security readiness of the young industry, that has been flourishing in an accelerated pace and hasn’t had time to adequately address the security concerns that come with that growth. Whatever the reasons are, data collected by us in the last six months of 2017 shows that attacks against crypto industry are now the new norm." Among the report's other findings are that China, Vietnam and the US continue to serve as the main hubs for DDoS activity. While the US and Vietnam's attack footprint decreased slightly in Q4, botnet traffic out of China more than doubled. The US is still the main target of attacks, facing 76.4 percent of all application layer assaults, a steep increase from 53.3 percent last quarter. The US is in first place on our list of attacked countries, with 80.5 percent of attack victims. The attack pattern is shifting too, with application assaults up 43 percent over their Q3 levels, while network layer attacks fell by more than 50 percent since last quarter. 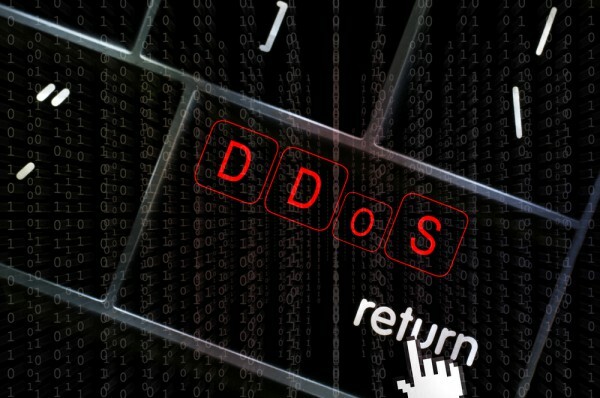 Attacks became more persistent too, with 63.3 percent of application layer DDoS targets seeing repeat attacks. You can find out more and access the full report on the Imperva blog.